Forrest, of Hagerstown, is a double major in political science and mathematics. He is the Student Affairs Committee chair in the FSU Student Government Association this year and was recently elected president of SGA for next year. He is also a student alumni ambassador, helping to build connections between alumni and the current student body. Forrest is the second Newman Fellow from FSU. 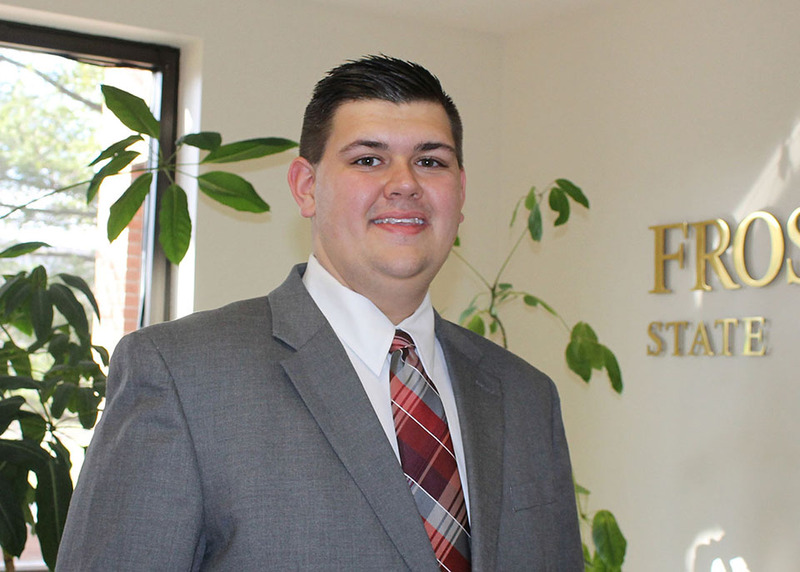 Senior James Kirk is spending the current academic year participating in the fellowship. The Newman Civic Fellowship is a one-year experience emphasizing personal, professional and civic growth. Through the fellowship, Campus Compact provides a variety of learning and networking opportunities, including a national conference of Newman Civic Fellows in partnership with the Edward M. Kennedy Institute for the U.S. Senate. The fellowship also provides fellows with access to apply for exclusive scholarship and postgraduate opportunities. The Newman Civic Fellowship is supported by the KPMG Foundation and Newman’s Own Foundation. For more information, visit www.compact.org.